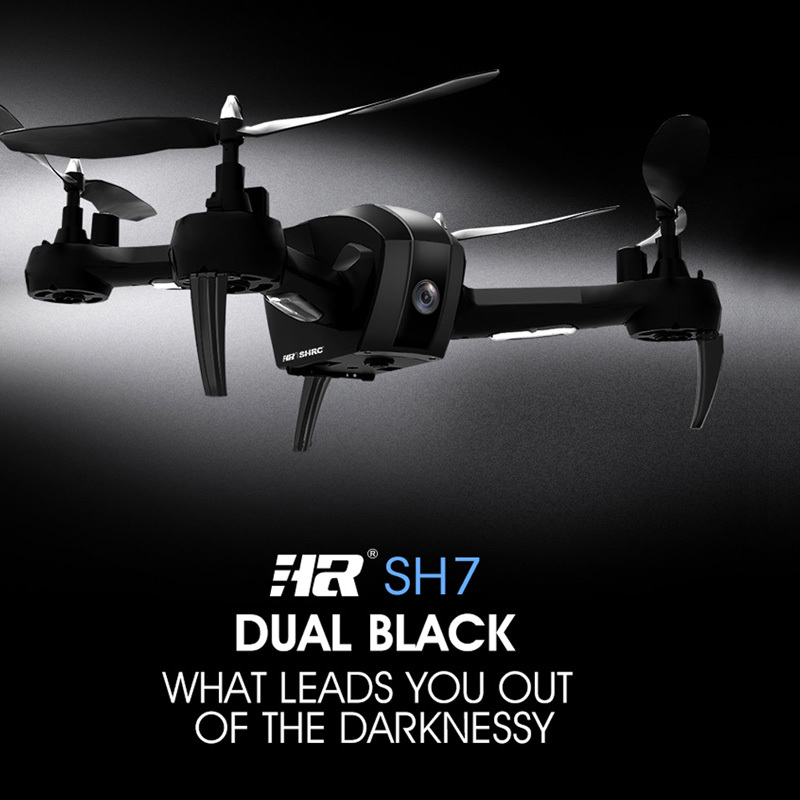 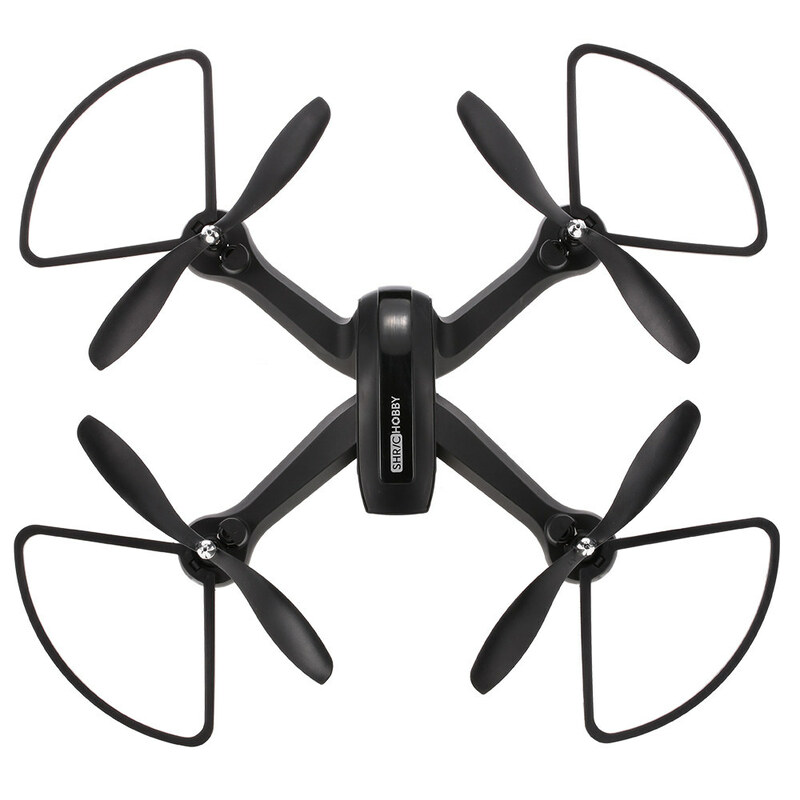 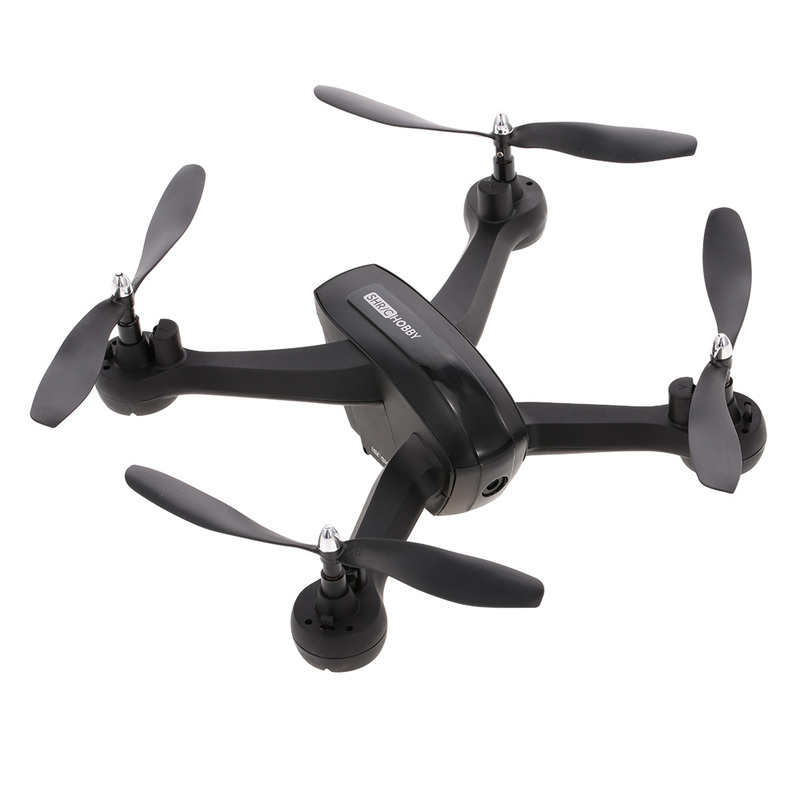 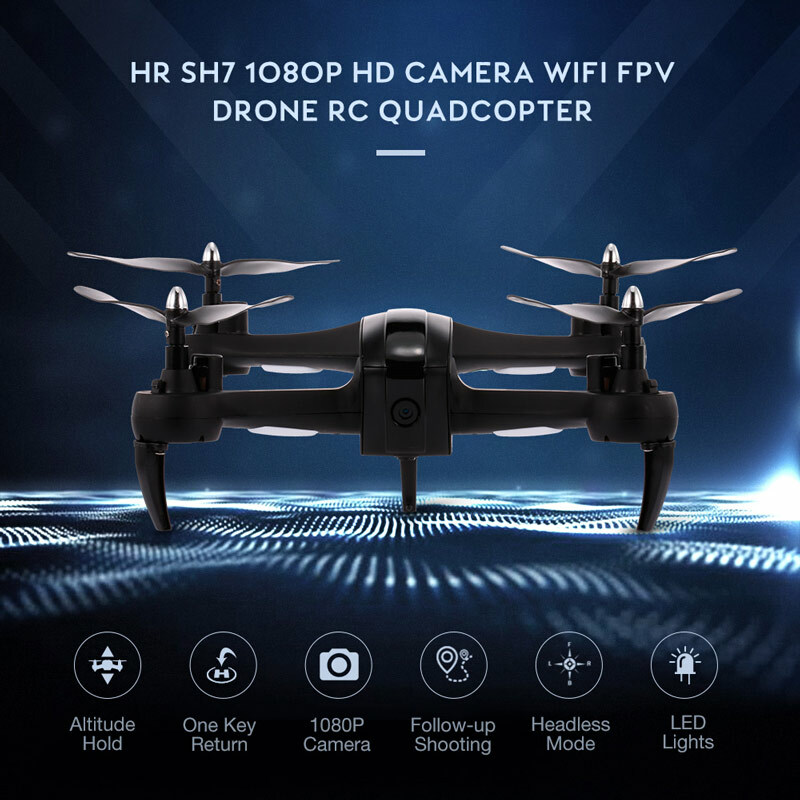 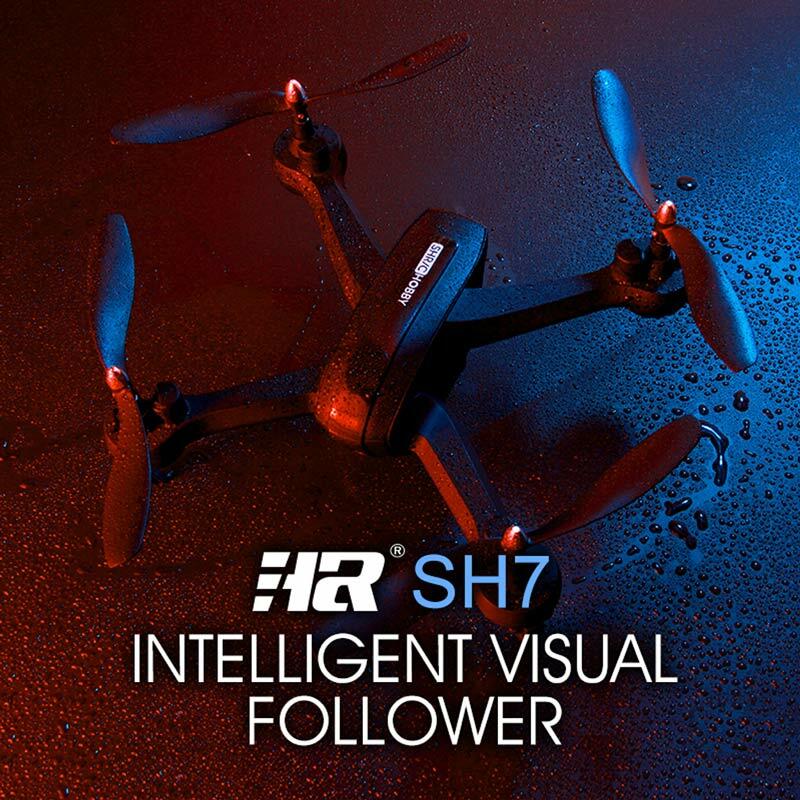 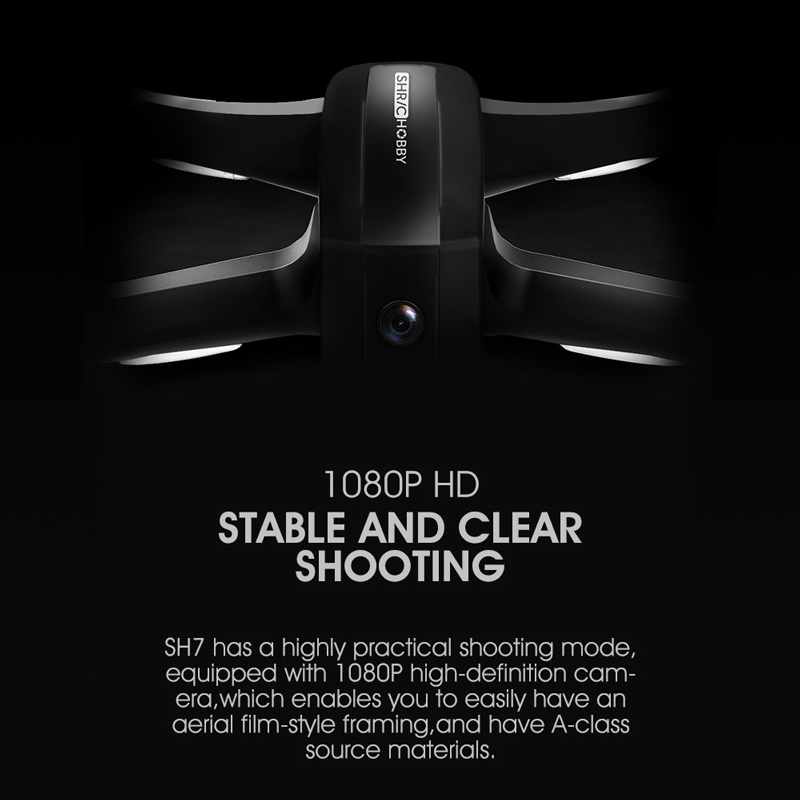 It is cool, a new drone comes, it is a HR 1080P drone which enables you to take clear pictures and videos. 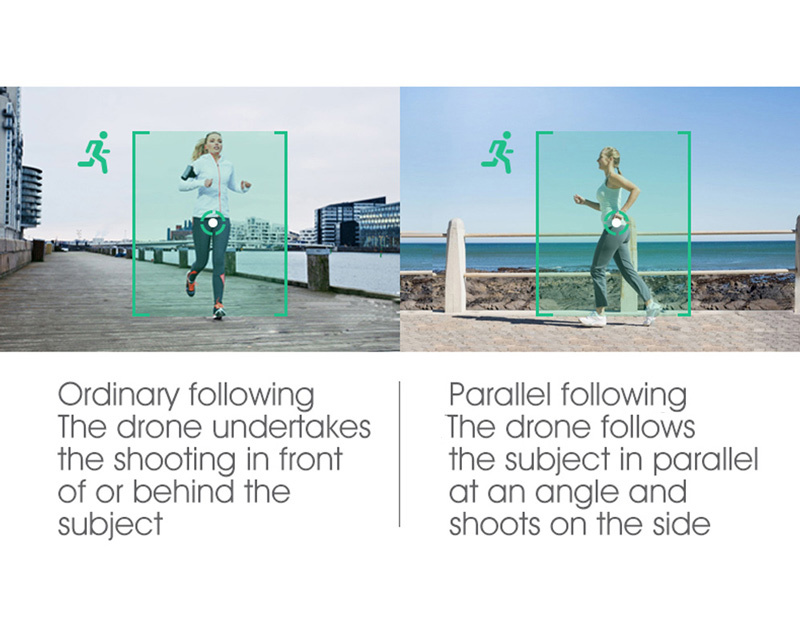 Gesture recognition allows you to take selfies with simple hand motions. 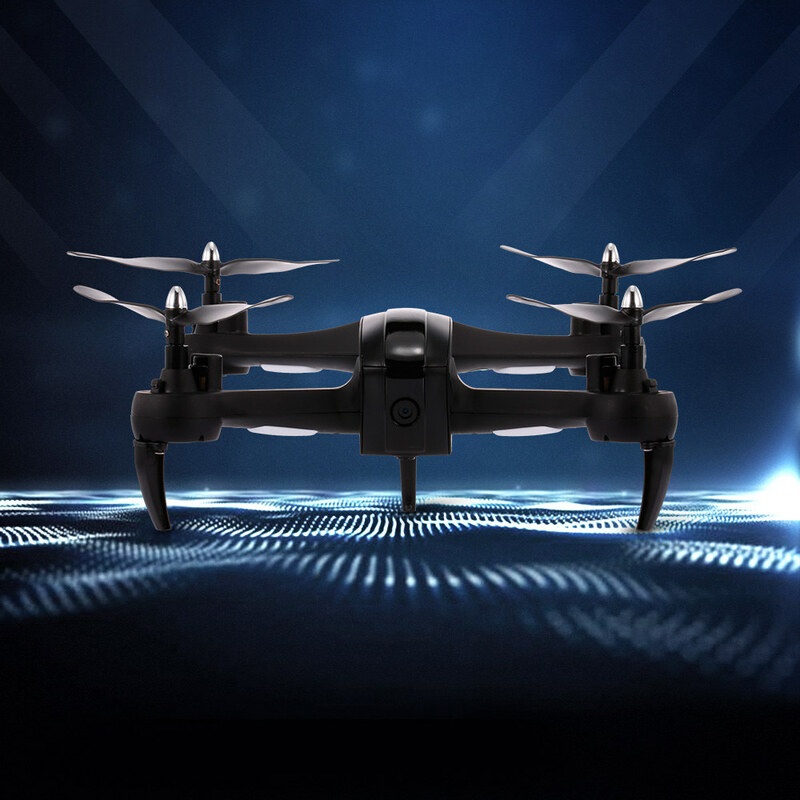 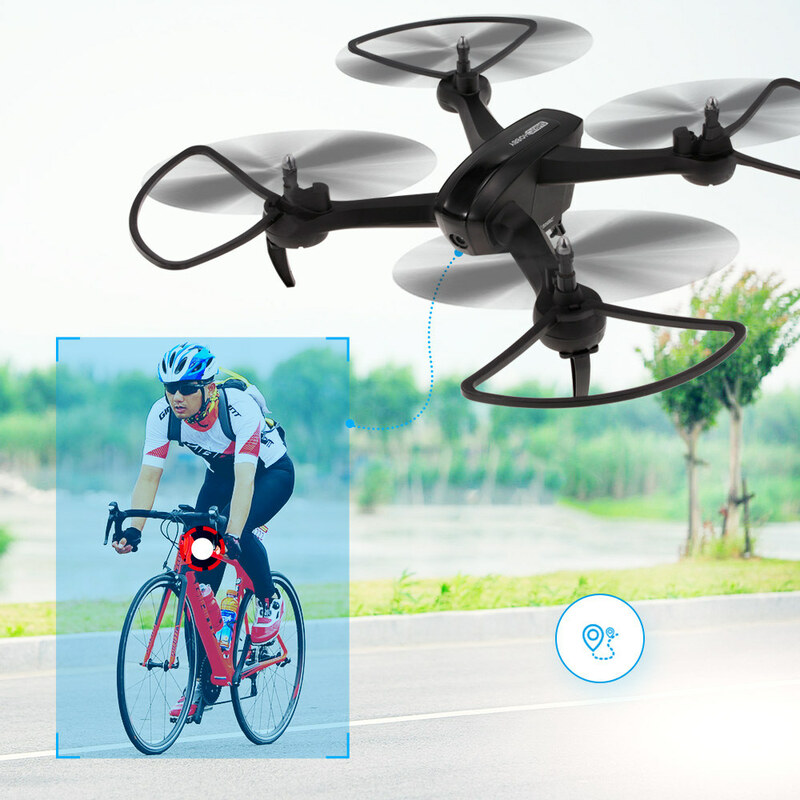 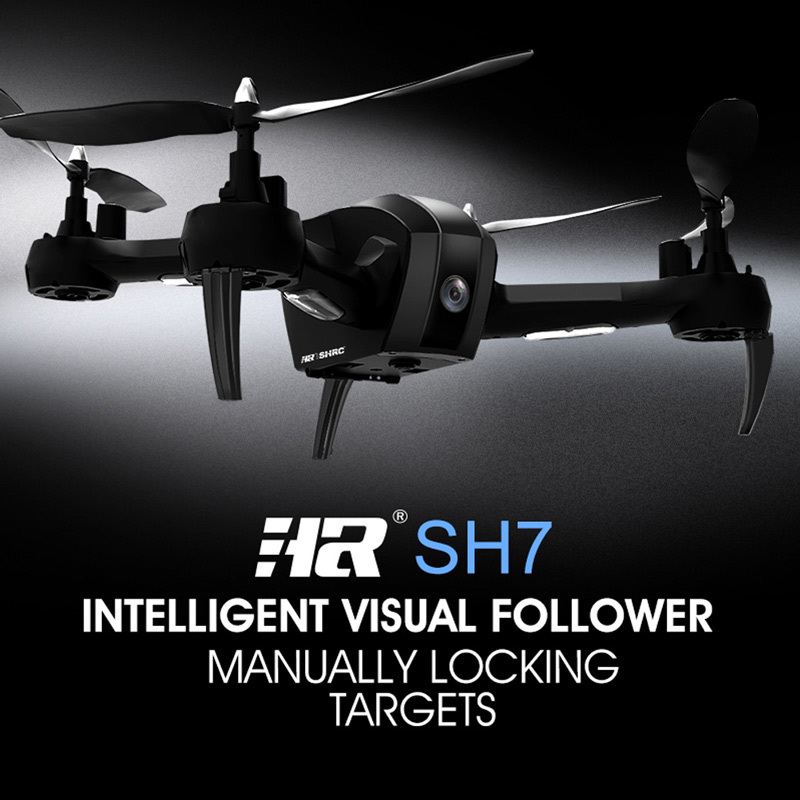 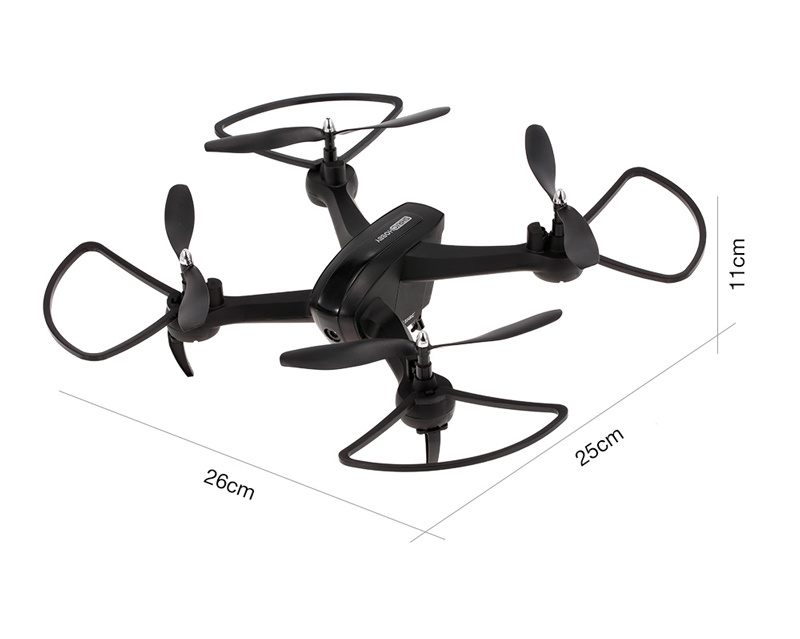 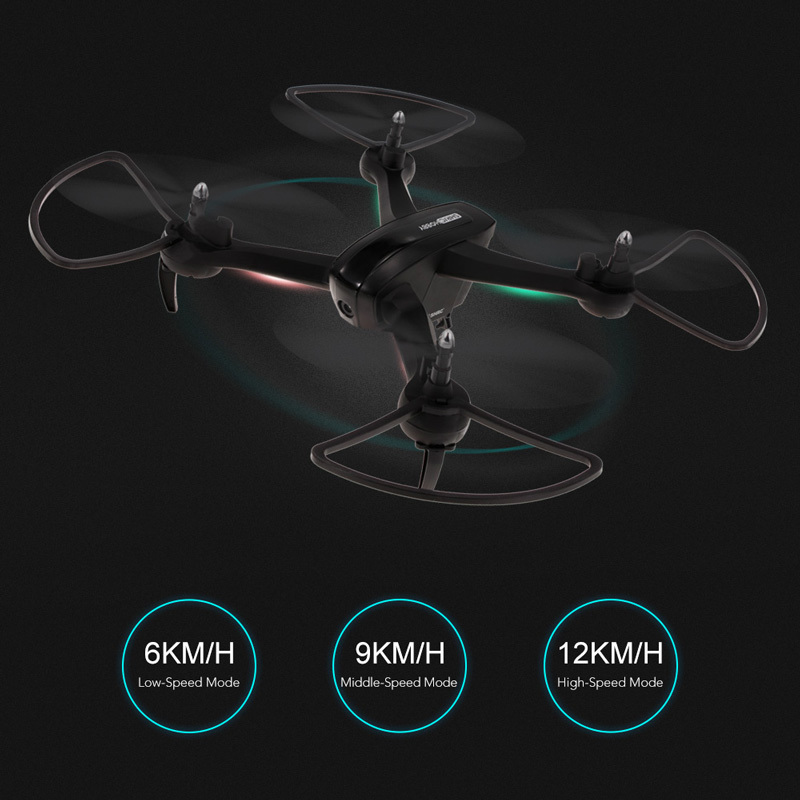 The new designed drone has excellent performance, such as one key return, headless mode, altitude hold, follow-up shooting functions and so on. 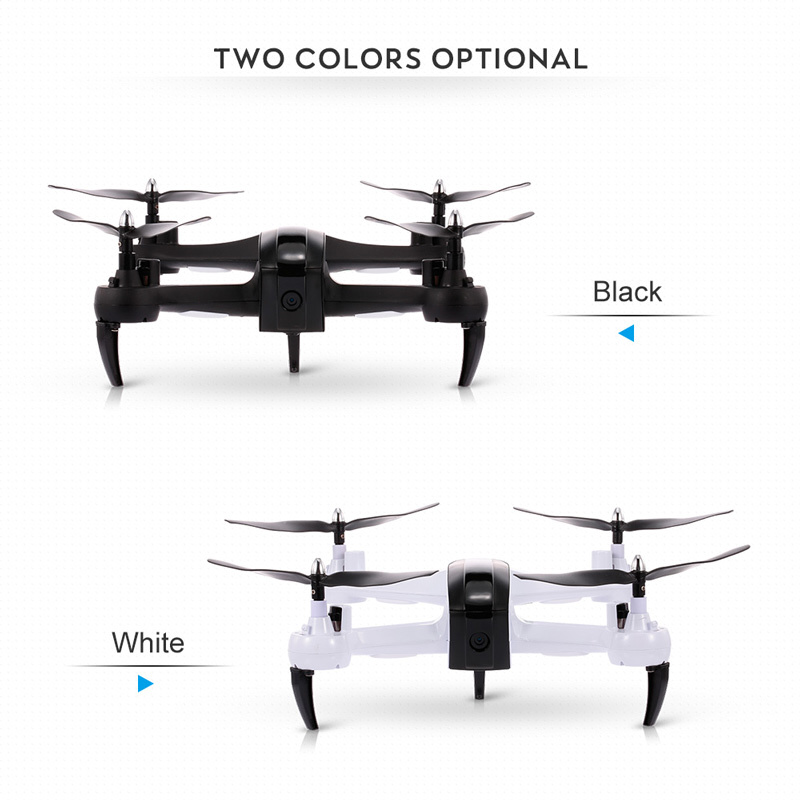 You will enjoy more fun with it, come on, have fun with your kids right now. 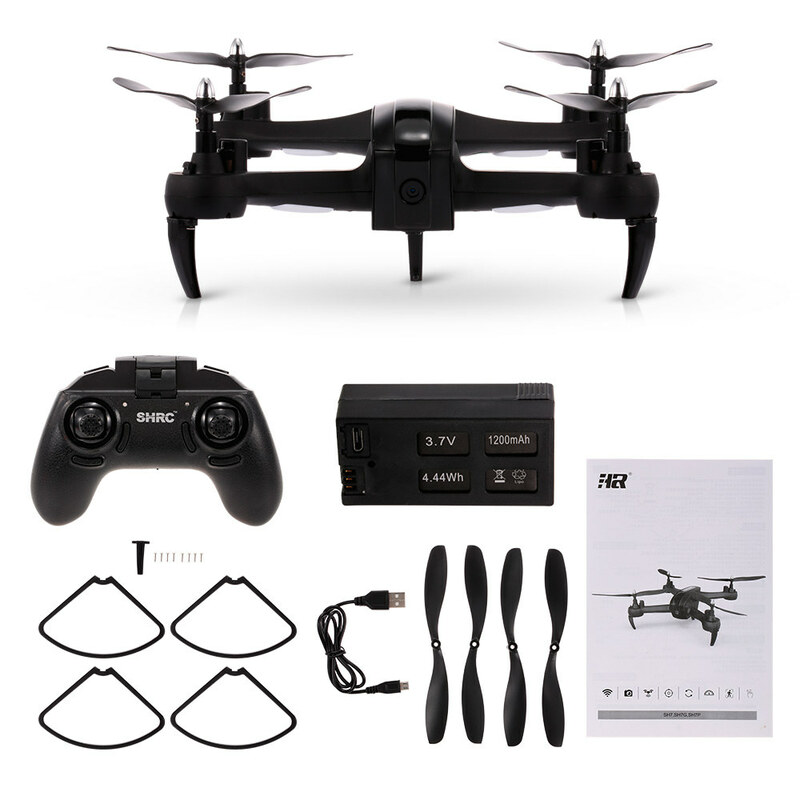 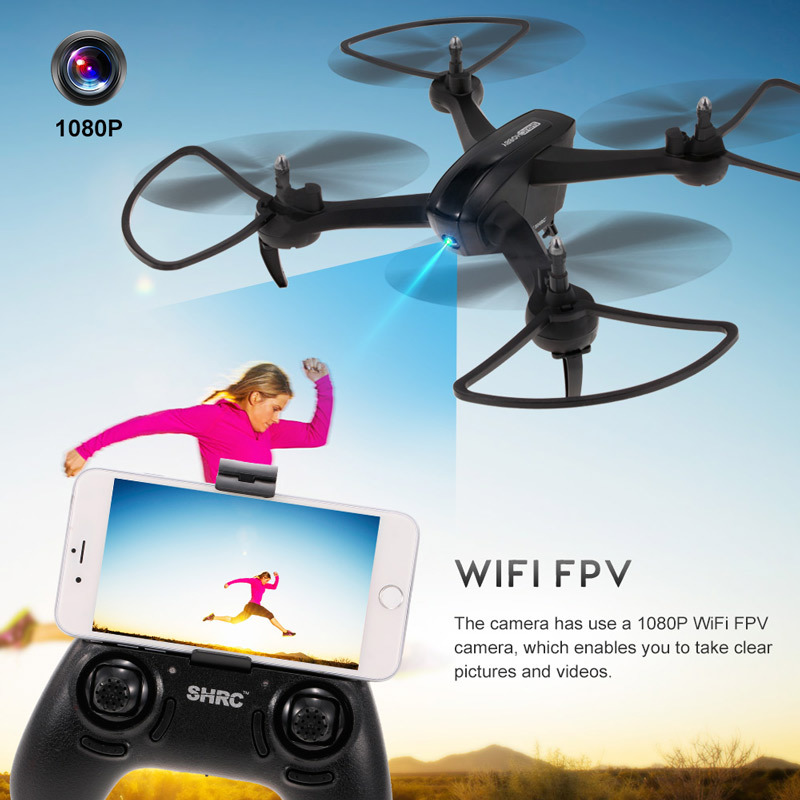 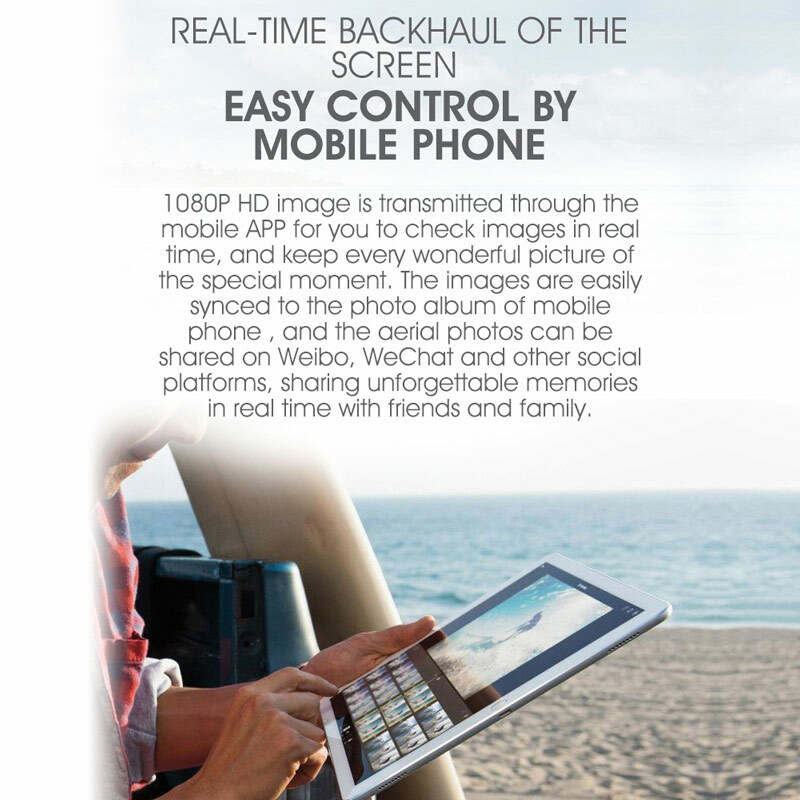 With 1080P HD Camera and Wifi FPV, you can enjoy the real-time viewing right from your remote control. 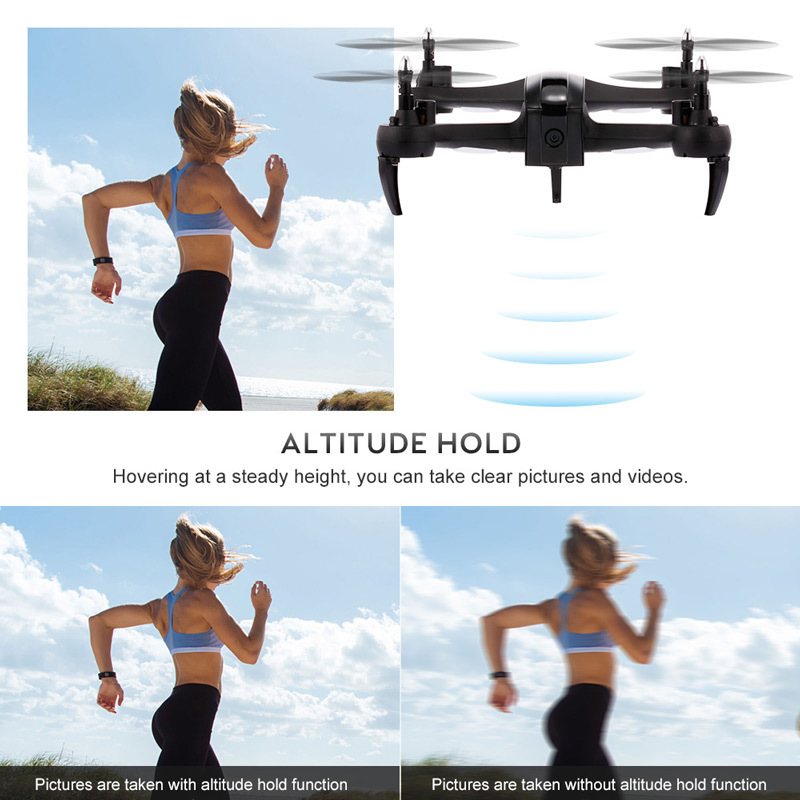 Altitude hold function and 6-axis gyro enable the drone hover at a steady height to take clear pictures and videos. 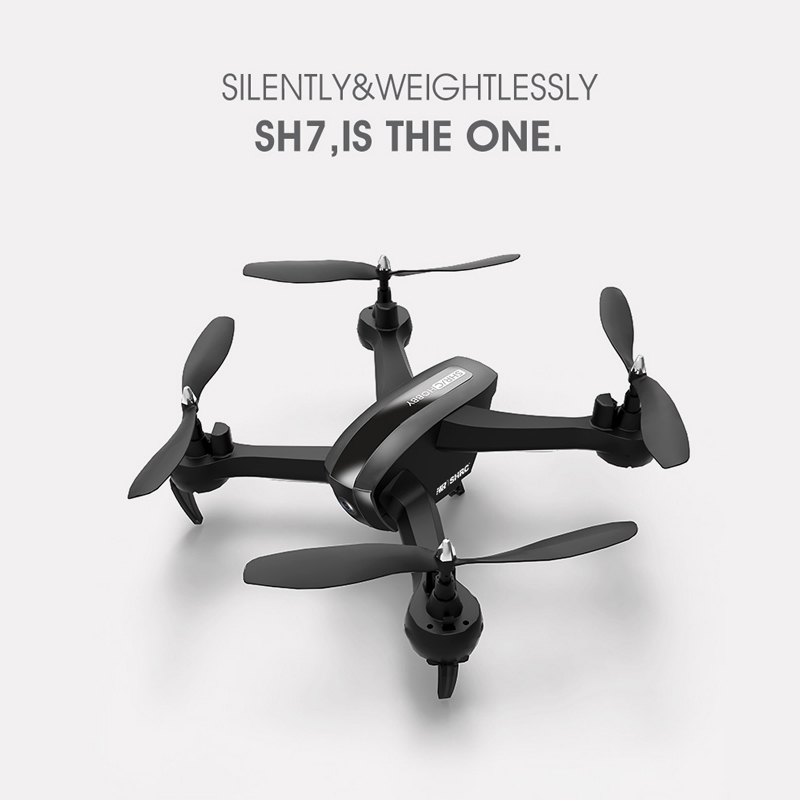 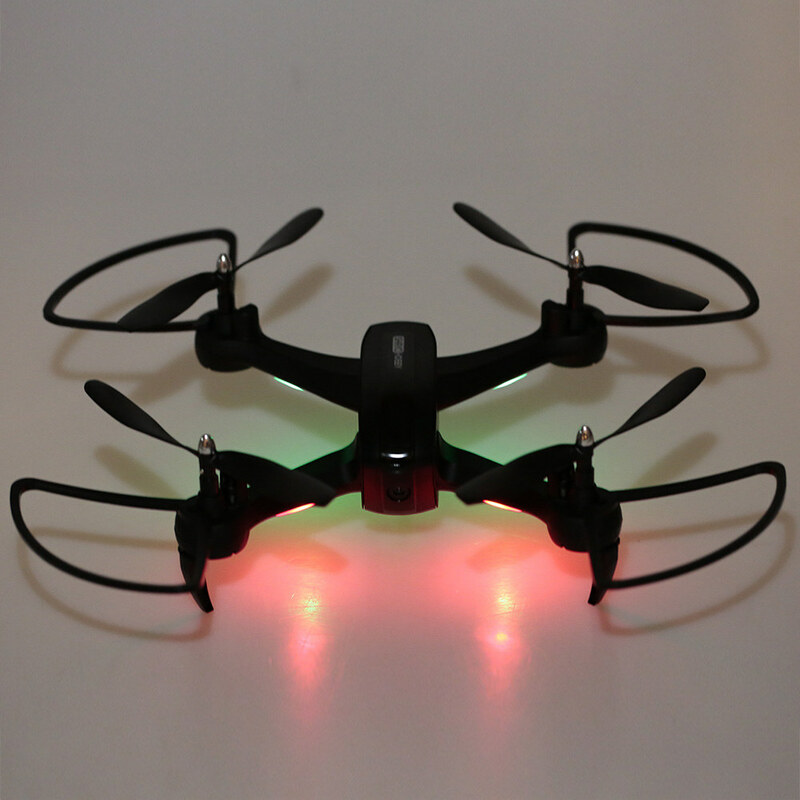 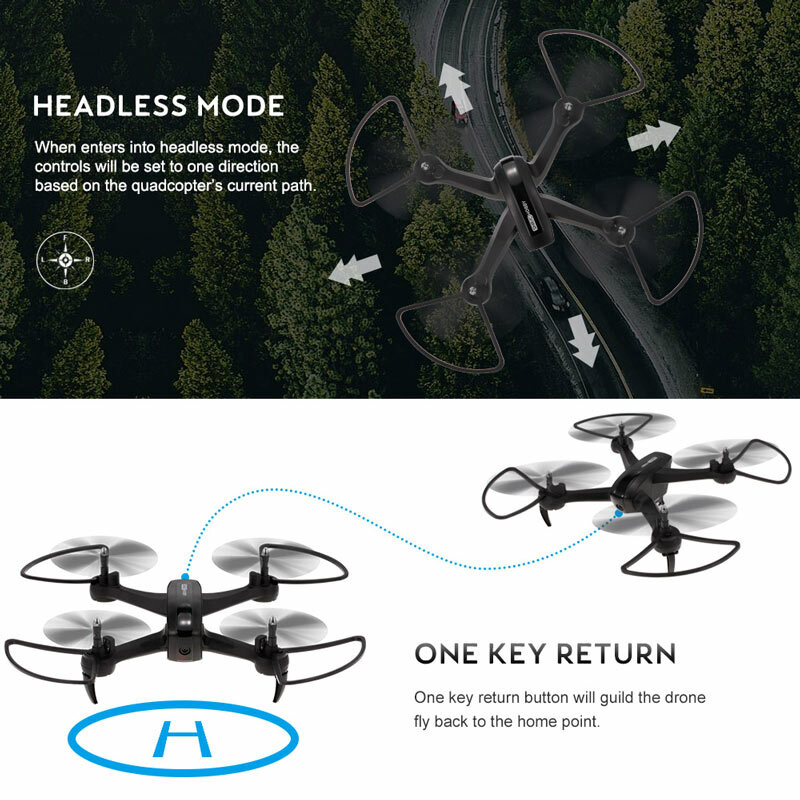 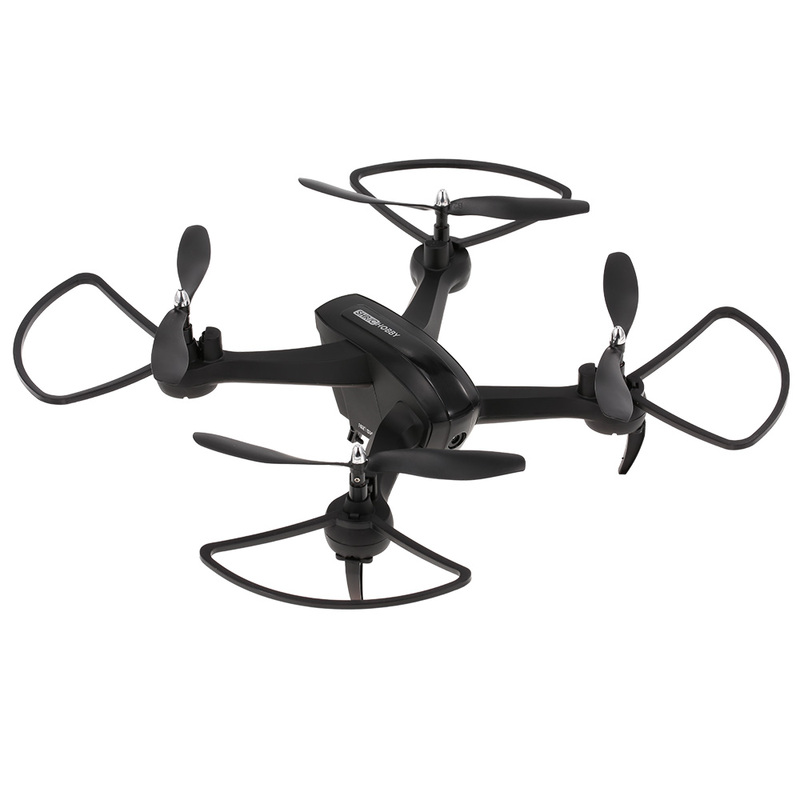 Headless Mode and One Key Takeoff and Landing help for easier operation, you will not have to worry about orientation. 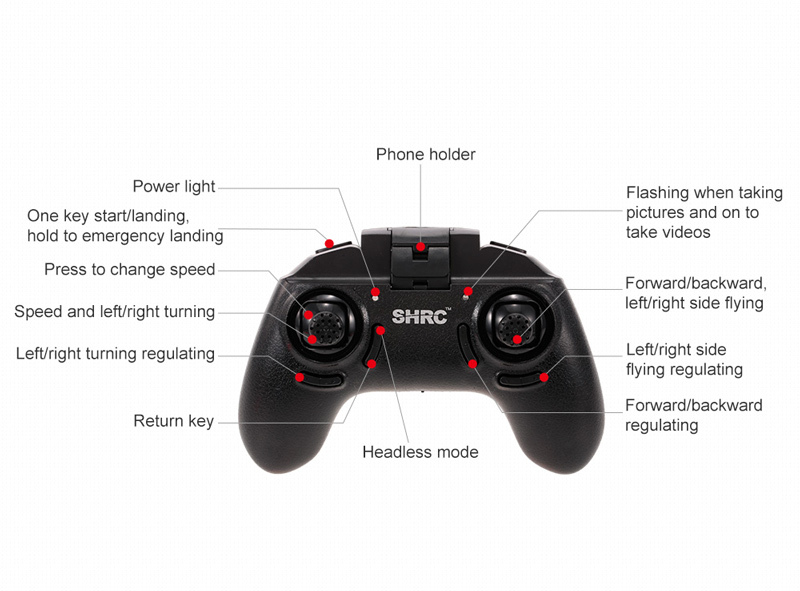 One key return button will guild the drone fly back to the home point. 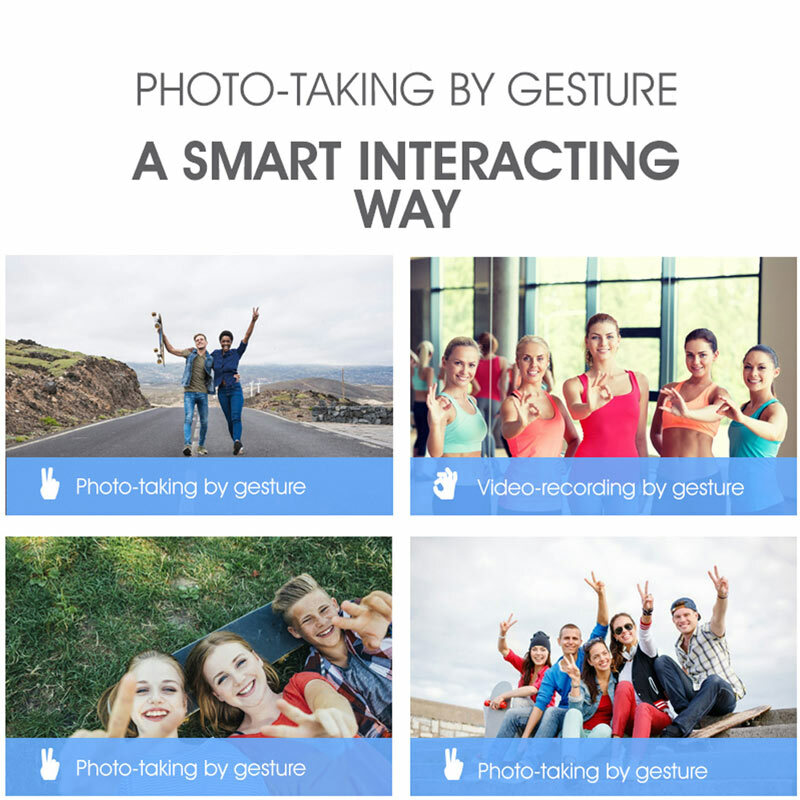 Gesture mode: Taking selfies just by simple hand motions. 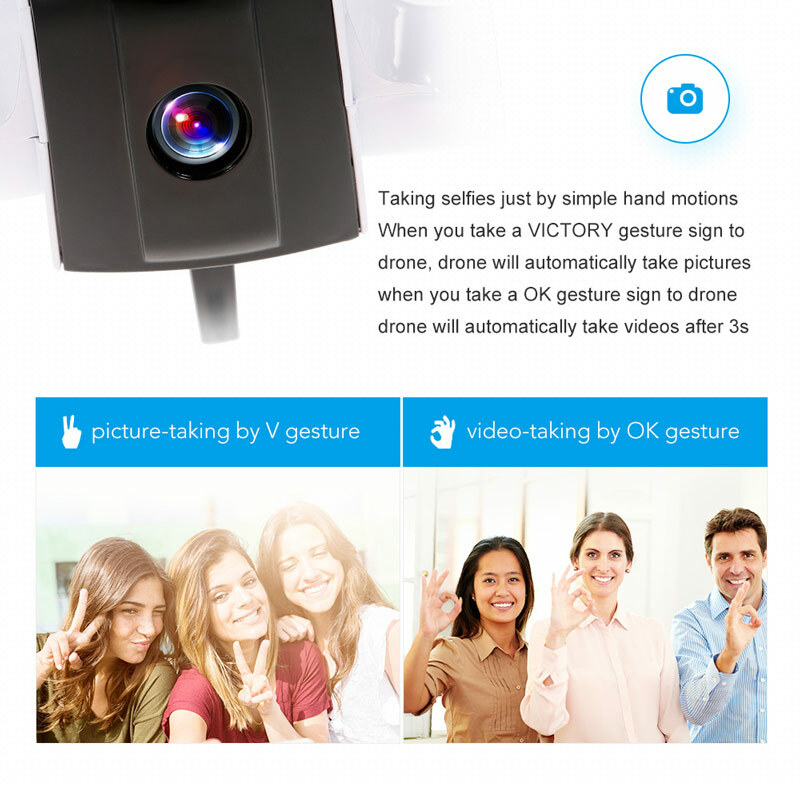 When you take a VICTORY gesture sign to drone, drone will automatically take pictures, when you take a OK gesture sign to drone, drone will automatically take videos after 3s. 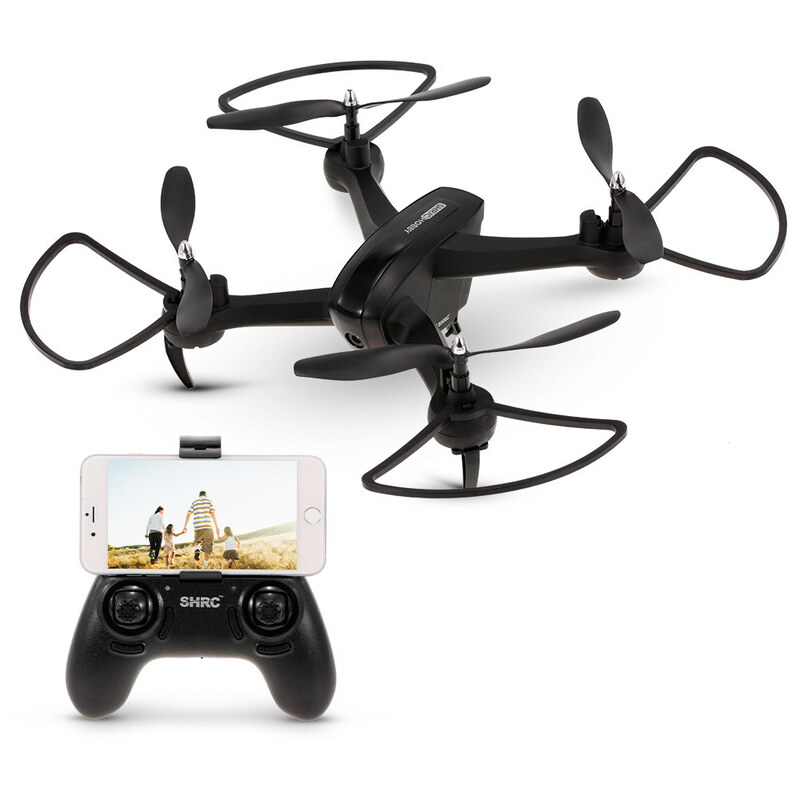 With 1200mAh larger capacity battery for longer playing time, flight time up to 18mins. 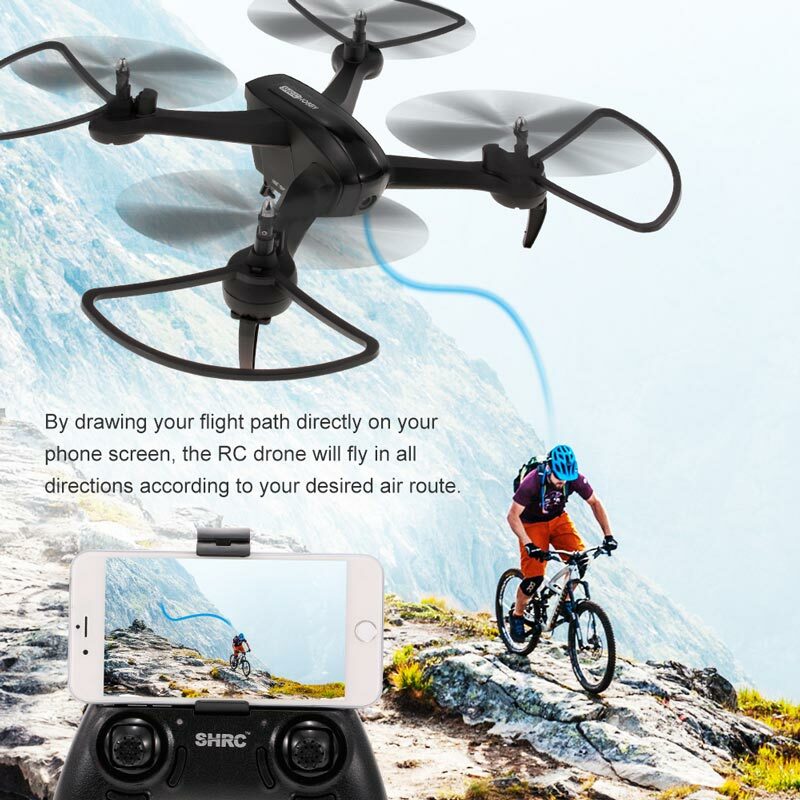 By drawing your flight path directly on the screen, the RC drone will fly in all directions according to your desired air route.